Famous for its versatility, mosaic tiles arranged in an array of patterns from simple to complex designs. Create one-of-a-kind style with uniqueness of each stone that is luxurious and extremely durable. The same look as wood which absorbs moisture and is easier to maintain. Add a contemporary style to your kitchen splashback with Arabesque Tile versatile patterns. Give style your space with classic and durable Subway tile by laying different kinda patterns. Create an elegant style with a countless array of patterns. Provides a classic look and international design trends with timeless appeal. A shimmering, attention-grabbing addition to any Kitchen countertops. Achieve the new distinct style traditional look with durable and less porous porcelain. Are you searching for high-quality kitchen tiles and want to enhance the functionality of your property by installing state-of-the-art tiles? Are you looking for the perfect tiles to boost the aesthetics of your Kitchen walls & floors, sink area, backsplashes and countertops? Your search is over now. You are at the right place. You spend most of the time in your kitchen where your body, soul, and mind desire. That is why your kitchen deserves the best tile material possible to make it not only habitable but also beautiful. Builders, architects, and interior décor specialists find adding tiles to your kitchen is both an ingenious way of improving the visual appeal and an indispensable building material that increase the resale value of your home. Westside Tile and Stone is the home to all types of topnotch tiles for your projects that are available in a wide variety of styles, colors, patterns, and texture. We have a great selection of kitchen tiles for the perfection of your project design from simple elegance to versatile color. If you are remodeling your kitchen or it is a new project for residential, commercial or public properties, there is no better way to accent the beauty of your home and give it the best treat than installing first-rate kitchen tile, porcelain tile for traditional look, arabesque tile backsplashes, travertine mosaics, Slate and tumbled stone tiles offering a timeless look and the list is inexhaustible to complement the chosen theme, traditional, contemporary or modern theme. 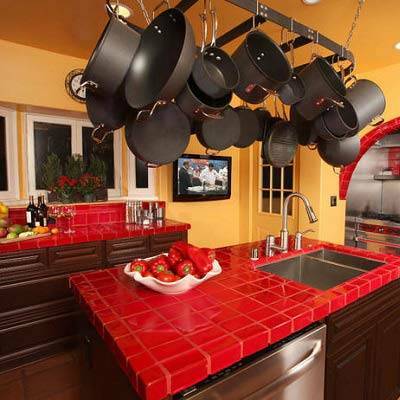 Kitchen tiles are one way to enhance the functionality and boost the aesthetics of a kitchen. The kitchen is the most visited and commonly used room in any home and is very important to increase its visual appeal and usability. Make a statement by installing tiles and be the envy of everyone. Tiles can be used on the floor and walls of the kitchen to improve the visual appeal of the kitchen and make it more exquisitely beautiful. The main advantage of tile in a kitchen is that it is non-porous in nature, it won’t stain or absorb any liquid or smell. Tiles are resistant to scratch, it won’t buckle or damage easily when comes in contact with heavy substances. Moreover, it is strong enough to last longer for many years in any circumstances. Tiles are also fireproof as compare to other finishes like wood which is good benefit for Kitchen backsplashes and countertops and flooring as well. 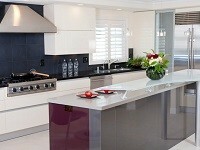 Tiles are suitable for kitchen walls and floors or home finishing as it is very easy to clean and bacteria free too. Our huge variety of styles and combinations of colors, designs and materials in kitchen tile offers you something that suits your kitchen design and theme perfectly. 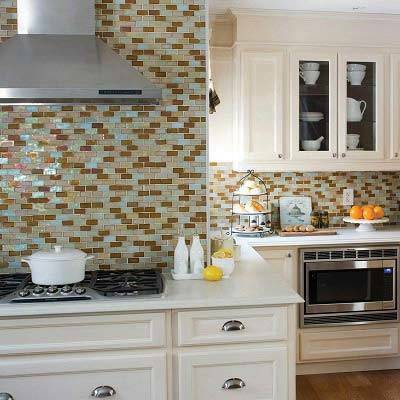 Tiles add value to the kitchen or any section of the home in almost no maintenance. Installation of tiles can get done in a lower budget than other flooring options. Using tiles in a home is one of the ways of increasing the value of a home and an investment that yields its return over time. It is important to select ideal tiles for the kitchen, those that withstand high humidity which is a common issue with kitchens. Most homeowners find porcelain and ceramic tiles a perfect choice that is available in a wide variety of designs and finishes to create a unique look that is similar to natural stones and hardwoods. After grouting and proper sealing, these natural clay-based tiles will be able to resist the different types of spills and last long. In addition, vitrified tiles, made from feldspar, quartz, and silica, have a low water absorption rate and are resistant to scratches and stain. So, they are also an excellent choice for the kitchen tiling. Deciding the type of finish involves weighing the pros and cons of each method. Matte tiles are suitable for the kitchen flooring because they provide a little traction that prevents slipping. Glossy tiles have slippery surface and are best for the walls and countertops because they are easy to clean. Patterns are a way of defining the character of any space. There is a large collection of tile patterns such as the checkered, honeycomb, and herringbone. To avoid visual clutter, limit pattern to one surface, the wall or floor. The kitchen is one of the most used rooms in the home; as a result, installing kitchens floors is one way to enhance its aesthetics and make it more functional. The walls, likewise, make a significant percentage of the entire home structure; therefore, installing walls tiles goes a long way in improving the overall beauty of the home. Kitchens floors and walls tiles are the way to go when you need to upgrade the visual appeal of your home interior and exterior surfaces. Add a luxurious look to your home interior and exterior surface as you really desire. Create a contemporary and stylish kitchen and the walls you would love each and every day. To transform the look and ambiance of your home, all you need to do is to fix tiles on the floor and on the walls. 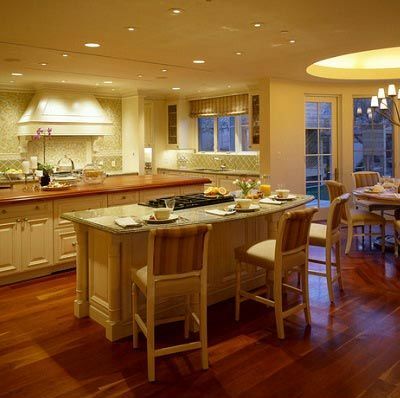 Make your kitchen very beautiful to walk on and your walls the most attractive to behold. Create a new contemporary view on the walls’ surface and on the floor. Have an entirely new ambiance in the same building without touching the structural design of your home. Bring about a new environment in your home and experience a psychological boost and a sense of satisfaction by using the kitchens floors and walls tiles to bring about the change you have always desired. This process does not require altering any design in the home. Shop kitchens floors and walls tiles at Westside Tile and Stone. We offer high-quality tiles at the most competitive prices. All our products are topnotch and suitable for your need. We have a wide range of tiles available for your project. Irrespective of the theme you are working towards, we have the right quality to complement. From Ceramic Tiles to Porcelain Tiles, Glass Tiles, Cement Tiles, and Stone; you can never go wrong choosing any of these tiles for your upgrade project. Let your home experience the best transformation possible. Make a statement with your kitchens floors and walls tiles and let everyone see your preference. Being one of the most visited and used rooms in the home, upgrading your kitchen is the best decision you can make. Give it a new look – either complete or subtle. The list of the changes you can introduce to your kitchen is inexhaustible. 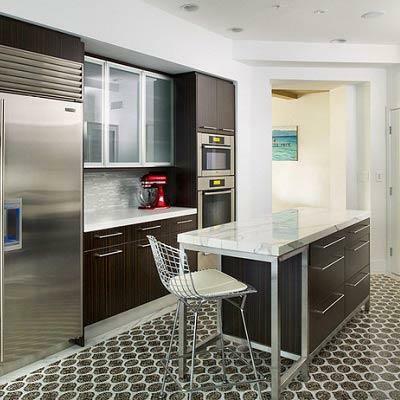 You could paint the walls, do new flooring, or install a kitchen backsplash that blends well with the existing kitchen décor is an ingenious approach to upgrading your kitchen without breaking the banks. Adding a kitchen backsplash, you can change and upgrade the visual appeal of your kitchen. 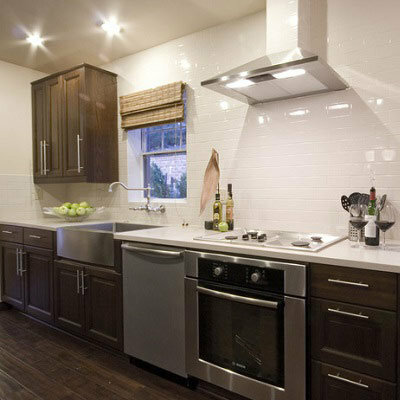 The kitchen backsplash can be made from different materials such as the ceramic or porcelain tile backsplash, glass tile backsplash, metal tile backsplash, travertine tile backsplash, thermoplastic backsplash, and manufactured stone veneer backsplash. Installing backsplash allows you to carry out a simple remodel project in your kitchen for a more functional and aesthetic quality. Change the boring look of your kitchen walls by allowing your creativity to come to play. Whatever is the material or quality of the backsplash added to the kitchen, it adds to the appeal of the kitchen. 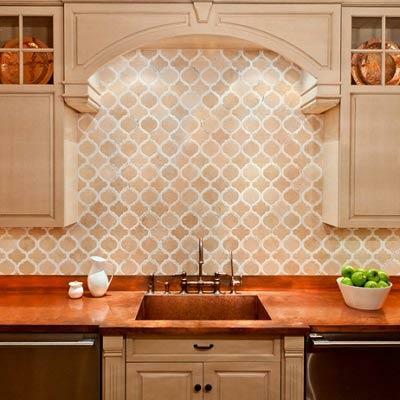 Contact us at Westside Tile and Stone for ideas on the type of backsplash to install in your kitchen. Redesign your kitchen in grand style and experience the satisfaction that comes with it. If you are searching for a clever way of upgrading your kitchen without changing everything completely, think about using the Granite counters, ceramic tile, Marble counter or concrete counters. Create a functional space for your activities. 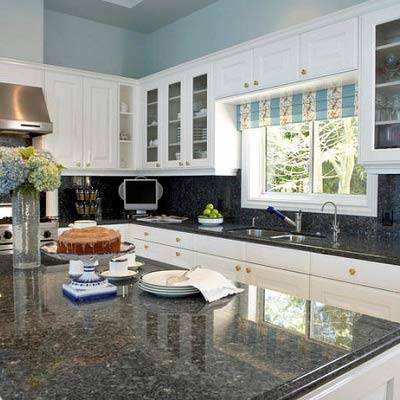 The granite and marble counters are made from the natural stone and they bring the nature into your kitchen when you use them in your kitchen. Ceramic Tile is made from quartz sand and clay while Concrete Tiles is made from cement, sand, and water. They are all durable products and are beautiful. They add a great value to your home. Countertops are a functional workspace in the kitchen. They make the kitchen look spacious and organized. They provide a surface to work in the kitchen. The amazing fact about these products is that they are easy to maintain. With non-abrasive soap, water, and damp cloth, you can wipe countertops clean and restore them to their perfect look. 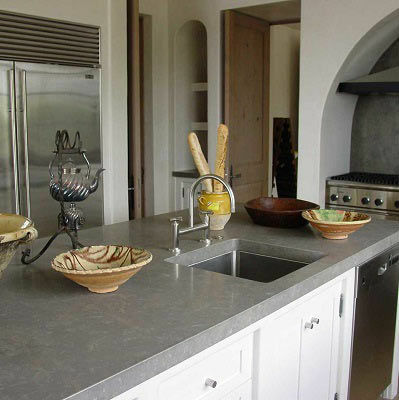 Shop for a wide variety of countertops at Westside Tile and Stone when you are thinking about upgrading your kitchen. We offer high-quality tiles and countertops that make your kitchen more useful, beautiful and increase your home value. Our products are offered at the most competitive prices. Contact us today and upgrade your kitchen to your taste without any hassles. Do you want to upgrade your home with kitchen tiles for floors and backsplashes and need ideas on the right products to choose? You may feel stuck wondering which type of tile to use because of diverse materials and peculiar features. Get the best tips here and take your home to a whole new level. This is a 2-in-1 product – it is made of ceramic but has the appearance of wood flooring. It is durable and highly resistant to moisture and available in 4” X 32” planks. Use this product to replicate the appearance of real wood. The kitchen is usually wet and you need linen texture ceramic tile there for the superior grip it provides. The surface of this tile feels like the linen texture. The best thing about it is that it prevents slipping. 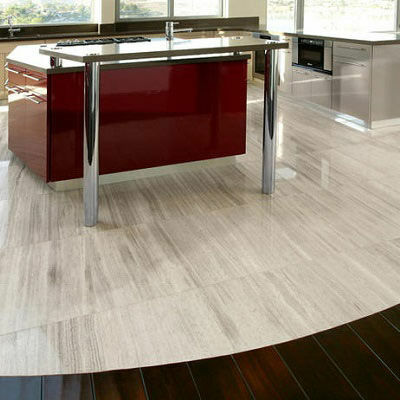 The main features of porcelain tiles are durability, coolness, and low maintenance. It is stain-proof and does not require sealing. Tile your floor, countertop, and backsplash using porcelain tiles. It is lightweight. Backsplashes do not take a lot of space; that is why it deserves paying attention to details when fixing it in your home. The beauty added to your home is worth the efforts and time. Mosaic tile is the perfect tile install because of its distinctive pattern that exudes creativity. This tile combines the softness and durability of vinyl and aesthetic properties of ceramic tiles. 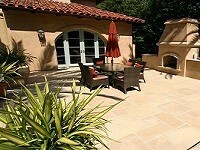 It also has the resemblance of popular stones and clays such as granite, marble, travertine, and terracotta. These tiles are available at Westside Tile and Stone at competitive prices to give your home the best improvement it deserves. Are you searching for the best supplier to buy kitchen tiles from? Do you want to shop kitchen tiles and need a reliable seller? Do you need high-quality tiles to install in your kitchen, walls, backsplashes, and more? You have come to the right place. Westside Tile and Stone is a leading supplier of tiles, countertops, and home improvement products that meet the needs of our ever-increasing customers in Southern California for years. At our Kitchen tile store, we sell only high-quality tiles to meet the demands of our customers. All our products are topnotch and improve the aesthetics and functionalities of their homes. We are a direct importer and we sell directly to companies and individuals; therefore, you can take advantage of our competitive prices and upgrade your home without stress. We have a responsive customer service team that attends to customers’ inquiries promptly and satisfactorily. We have a large base of satisfied customers and it is our goal to improve on this feat. We have a skilled and experienced team that specializes in interior design, flooring, ceramic tile, and more. We also have certifications in relevant disciplines that relate to design and home improvement. As a result, we are experts at what we sell to our clients. At Westside Tile and Stone, we supply materials for diverse construction and remodeling projects. Proudly serving as the best tile store in the greater Los Angeles area, we are committed to providing the latest trends in kitchen tile materials with a variety of designs and patterns that are unmatched. We have a highly responsive customer service that handles all inquiries swiftly. Contact us today for more detailed information or visit our kitchen tile store near you, you can call us at 818-704-9222 or 310-276-9222 for free consultation.